Invasive is such an ugly word, isn’t it? An invader, after all, is nothing if not unwelcome. Even the word “invade” describes intrusions described colorfully as forceful, hostile, destructive, and even injurious. Interestingly, the birding lexicon uses other terms to describe unanticipated arrivals in more positive terms. For example, to irrupt, at least as far as animals are concerned, is simply to enter a region suddenly and in very large numbers. In the same vein, to expand means to increase in extent and scope or to spread out. Sounds so innocent, doesn’t it? One wonders how innocent the Spotted Owl finds the rampant range expansion of the Barred Owl. Perhaps our outrage at invasive species can be a bit hypocritical at times. What would birding be without the prospect of twitching the occassional vagrant, which is by definition an uninvited, though in these cases welcome, guest. Listers are quick to put aside their condemnation of invasive species once they attain that coveted status of exotic: not native, not fully naturalized, but established well enough to be countable by the prevailing authority. If you can accept the natural world as a completely free economic market, invasive species tend to be wildly successful entrepreneurs, capable of nimbly exploiting opportunities and competitive advantages fpr massive profit. The rapid proliferation of the European Starling is, on the species level, equivalent to incalculable fortunes of billionaire moguls. Sure, capitalism demands losers as well as winners, but that’s not the starling’s fault. Of course, there’s no such thing as a truly free market and even the natural world is subject to regulation. That’s where we come in. 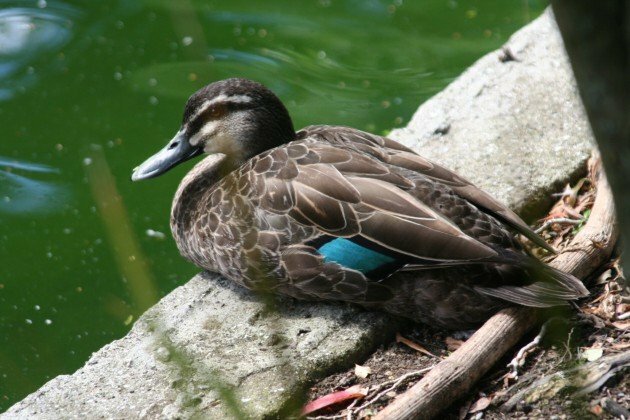 In instances where invasive species are truly destructive, we must be vigilant and swift in beating back the invaders and restoring the natural balance. But as we learn time and time again to our dismay, the arrogant attempt to decide who wins and who loses in a complex system is typically exactly what destabilizes that system suffciently to allow unexpected, often unfortunate outcomes. This is probably too much to think about every time you encounter what we consider an invasive species. But when you meet one in the field or as you read our exceptional collection of essays discussing different aspects of invasive species all over the world, have some sympathy and some taste. Like them or not, in the great game of life, these are winners. 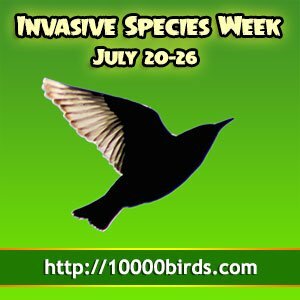 Below is a full list, with hyperlinks, of each and every one of our Invasive Species Week posts. We hope you enjoyed them all but if you missed any feel free to click on through. Thanks to all of our guest posters, as well as all of the Beat Writers who participated. We think the week was a rousing success and hope you agree!